That poetic gem came to mind as I was looking at these pictures. The animal life is definitely getting down to business around our neighbourhood in the last few weeks. The fishing creel on the front door had a few tiny branches sticking out of the lid a while back so I pulled them out of the top of the basket. I had to take the basket down to get them out and found this inside. At first it looked like a bunch of debris that someone had picked up off of the ground and put in the basket as a joke. I realized that the depression on the right was a bird's nest. 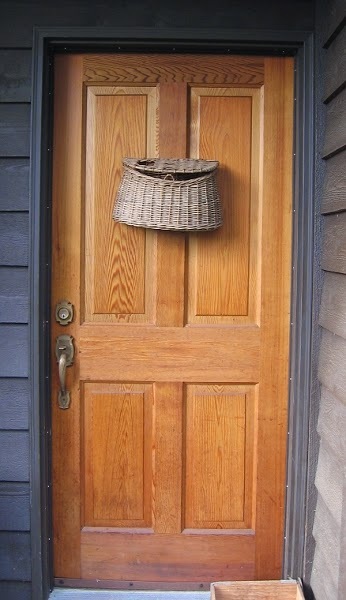 Trish, my wife, moved the basket off the door and onto the wall 10 feet away. Undaunted the bird kept on with building his home. 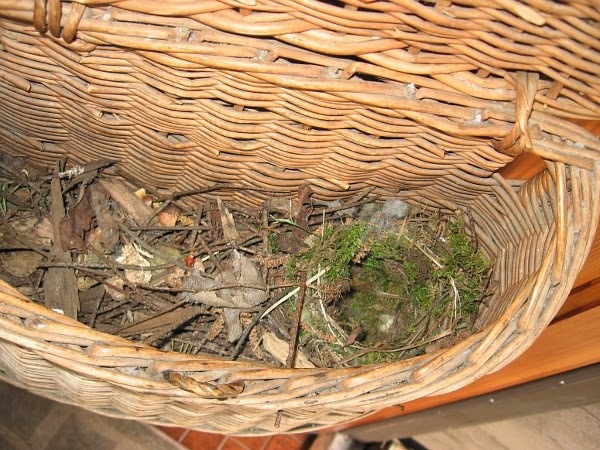 We soon realized that the basket and nest would get very wet when it rained, so I put a nail in the wall under the upstairs overhang so that it would stay dry and moved the basket yet again. We weren't certain if the bird family was around or not but I saw him/her today. All is well in bird-land. 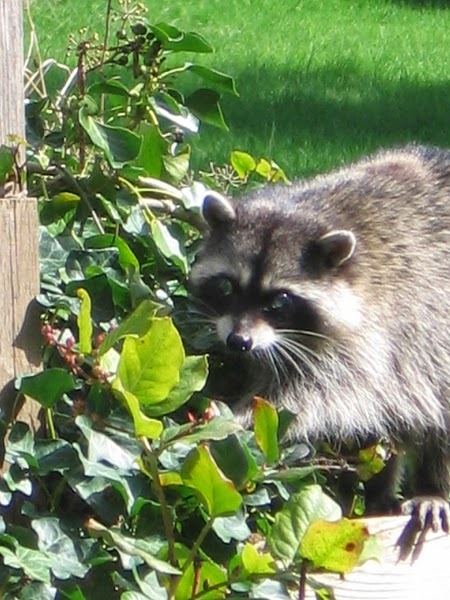 Last week a raccoon wandered across our yard and onto the neighbour's fence. 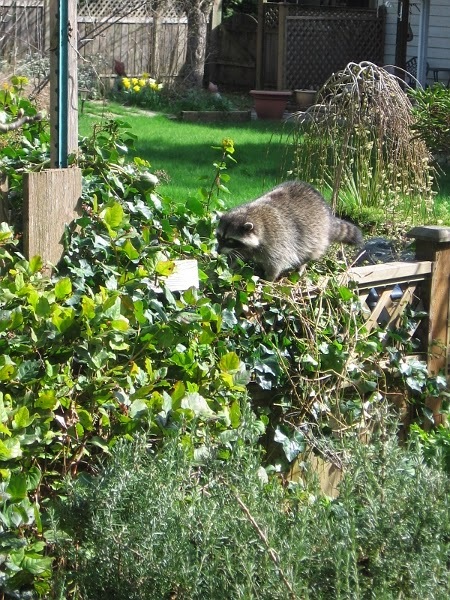 It wandered along the fence directly opposite one of the living-room windows. Raccoons are so cute. I love Spring and this bird's nest shoe is my tribute to all of those busy birds. Go to my Etsy shop to purchase my "Spring Time Bird's Nest Shoe". Popping in to say a belated hello. Hello to you too, thanks for stopping by.